Something good is happening in Indonesia. It's very good! Where is Bali property heading? Some great insights into cultural nuts and bolts and how this impacts real estate in Bali. What the rules are all about. If you're going to invest in property or land in Indonesia you need to know what the rules are. Why you need professional photography. Are you really taking photos of your property with your iPhone? How the customer experience is changing how we do business. The rise of a new Indonesia. We're going through a paradigm shift in the way Indonesia is attracting foreign investment. Are you looking for Bali long term rental homes? Perhaps you’d like to visit Bali for a holiday in the future, or maybe you’re playing on working in Bali for an extended period of time and would like to bring your family. Whatever the case may be, we have the highest quality Bali yearly rentals available. From beachfront rentals to cheap yearly rentals that are easy on the wallet, we have an extensive property search option that allows you to customise your criteria so that you can find the perfect long term rental for your needs. Whether you’re looking to rent or even buy, whether you need 2 bedrooms or 6, or even if you know the postcode of where you’re staying, we can help you locate the ideal yearly rental for your needs. At Seven Stones, we’re real estate specialists that have a lot of experience dealing with property sales and rentals in Bali and the surrounding islands. We have strict standards to ensure that we can always deliver top-notch service to everyone that is looking for Bali yearly rentals. Our services are bespoke, meaning that we can help you look for something very specific if you don’t want to settle for less. Be it a beautiful beachfront rental or property at your chosen postcode, we can help you search for your dream long term rental. We make sure to take great care of all our clients so that we can help them find the perfect property they’re looking for. No matter if they’re looking for cheap yearly rentals or if they have their eye on beachfront rentals, we combine our network of property contacts with our professional services to deliver the most complete long term rental service in Bali. We offer a wide range of different services to all of our clients. As property experts in Bali, we understand how difficult it can be to search for year round rentals especially when you don’t know where to start. We offer a completely bespoke service that can help you get started with your property search and also help you locate the perfect Bali yearly villa rental. We’re trusted estate agents in Bali, meaning that we work with many property owners to offer you the best cheap yearly rentals and year round rentals. We believe in offering a professional service that goes above and beyond what you would normally expect from a regular real estate. We make sure to take our own photographs and videos of a location to ensure that you’re getting an up-to-date view of the rental, and we’ll always list properties according to a strict set of procedures and protocols to ensure that all of our Bali yearly rentals are competitively priced and comply with all laws, regulations and rules regarding property rentals. Unlike many real estate agents in Bali, we offer a completely bespoke service to all of our clients, meaning that we go the extra mile to help you find Bali villas for rent long term. It all starts with our helpful property search functionality that you can find on the Seven Stones main homepage. You can simply click the drop-down boxes and select options such as the price range you’re aiming for, the location and even the number of bedrooms. If you can’t find what you’re looking for, then don’t hesitate to contact us. We have access to a large network of property owners that can offer everything from beachfront rentals to cheap yearly rentals. No matter what you’re aiming for, we can provide you with a personalised service to help you discover a Bali long term rental that matches all of your needs. Seven Stones offers properties in some of the most beautiful and sought-after locations in Bali and Lombok such as Canggu, Seminyak, Ubud and the Bukit. These locations offer some of the best entertainment, amenities and facilities needed for a comfortable and carefree stay in both Bali and Lombok. If you’re going to be staying in a long term rental then it’s ideal that you surround yourself with the most reliable services to ensure that you can feel right at home. If you’re looking for yearly rentals in these areas then we are more than happy to help provide you with a bespoke service that will look for specific properties according to your specifications. If you can’t find the right property on our website, then feel free to contact us and let us know what you’re looking for so we can assist you in finding your perfect Bali long term rental. Seven Stones is a refreshing take on the real estate industry with an honest vision and a simple message; we do good, then we do well. To us, offering a service that values trust, honesty and integrity is of utmost importance. We don’t focus on what other real estate agents are doing and look at only what we can do to improve our services and provide a better service for everyone that gets in touch with us. We base our services around the people that need our services instead of trying to sell our services out to others. We make sure to listen to not just our clients that are looking for year round rentals, but also our partners and vendors to ensure a stable business network. This not only helps with our credibility but it also helps us grow our real estate portfolio. So whether you’re looking for a long term rental in Bali or if you’re in need of another property related service in Bali and you’re not sure who to speak to, don’t hesitate to get in touch with us. Jalan Sunset Road No. 777, Seminyak, Bali 80361. Property and Prohibition: Bali Bans Plastic Bags! 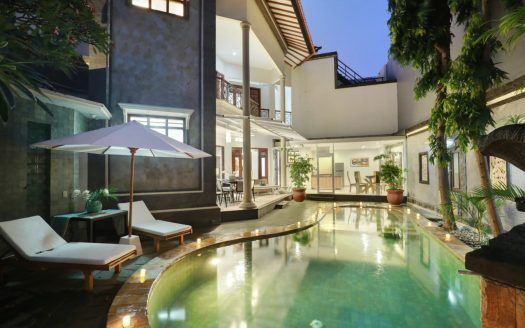 Leasehold: holiday rentals vs. long-term rental villas in Bali. Which one’s for you? Develop something new or buy something old?